Global Scouse Day will be celebrated this year with a massive party in one of Liverpool’s much loved parks. The event will take place on Thursday, February 28 – the day we have come to celebrate all things scouse – with live music, local delicacies and entertainment. Best of all, the party is completely free to attend. The event takes place in the iconic Grade II* listed Palm House in Liverpool’s Sefton Park . Kate Martinez, Visitor Experience Manager at the Palm House, said: “Recognising Liverpool ’s proud history and traditions, Global Scouse Day at Sefton Park Palm House is an event for the whole community to come together to enjoy local music, food, drink and good company under the Palm House roof. Renowned Liverpool artists Marc Kenny, Jade Thunder and Redhouse to the stage paying tribute to everyone from The Beatles to Cilla Black and The La’s. In celebration of the iconic Liverpool dish, guests at the Palm House will be able to explore a number of Scouse stalls. Already confirmed to be at the event are Liverpool businesses Sean Webster Illustration, DoorPlaque, Freida McKitrick, Clare Ellis and Isabella Daisy Designs. There are more pop-up stalls set to be confirmed and there will be something for everyone. Ian McKinney Free eBook Giveaway! Hi, I publish a series of gothic thrillers set in Liverpool past and present. The books are sold as paperbacks in Waterstones and Blackwells in Liverpool, and on Amazon/kindle. I’ll be giving away the complete series as ebooks on kindle for one day only in support of Global Scouse Day. There’s even a recipe for Scouse in book 2, and Liverpool themed cocktails made with Liverpool Gin in all three books. 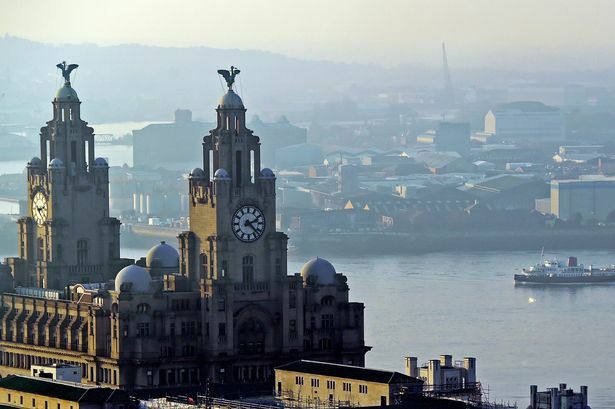 Good luck with the day, its great to have an annual celebration of what makes Liverpool unique. The Homeless Games is an event which uses sport to engage people who are homeless, socially excluded, receiving support in any way, to a more healthier lifestyle. As well as sport there is support stalls that offer support and advice. This year with Brexit we felt it was important to get a message of unity and so came up with the slogan “The Homeless Games: Born in Liverpool, The City Where Everyone Belongs”. The organisers are planning to launch the timetable of the Homeless Games on Global Scouse Day, by designing a picture frame and asking people to say “Liverpool The City Where Everyone Belongs”. There will be a Global Scouse Day lunch club at the Heart of Egremont Community and Heritage Centre Guildford Street Egremont from 11am on 28th. This is an easy access centre as well as dementia friendly. Run entirely by volunteers from the community. The famous Mersey Ferries will be serving scouse! Homebaked in Anfield will be cooking up their award-winning scouse pies for charity, assisted by volunteers from Regenda Housing. Porkie Pies in Garson village will be raising money for Addaction Liverpool with every pie or bowl of scouse sold. Holding a special event for Global Scouse Day? Let us know via our contact page!